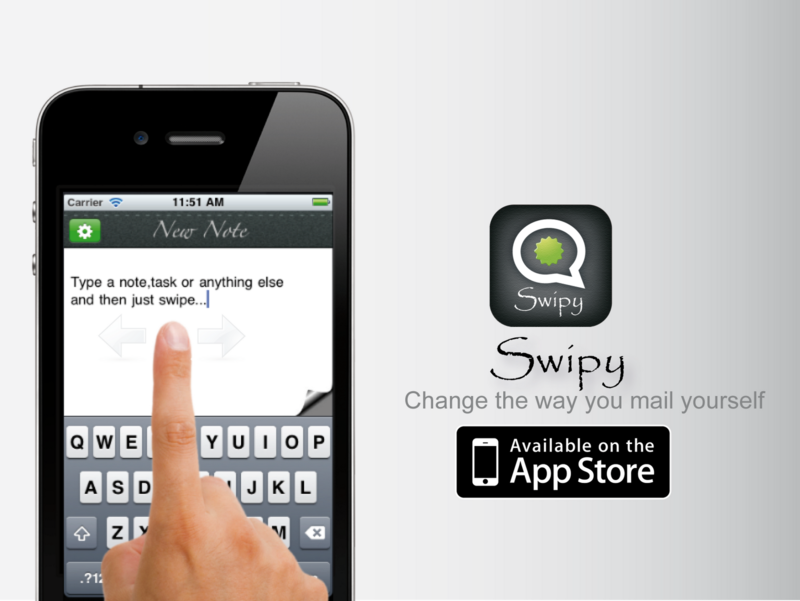 Swipy changes the way you send yourself a quick note. Open Swipy,type a note,task or anything else and just swipe. The note is immediately delivered to your email inbox without any configuration or more taps. The common everyday task of saving a quick note becomes so simple,fast and convenient.